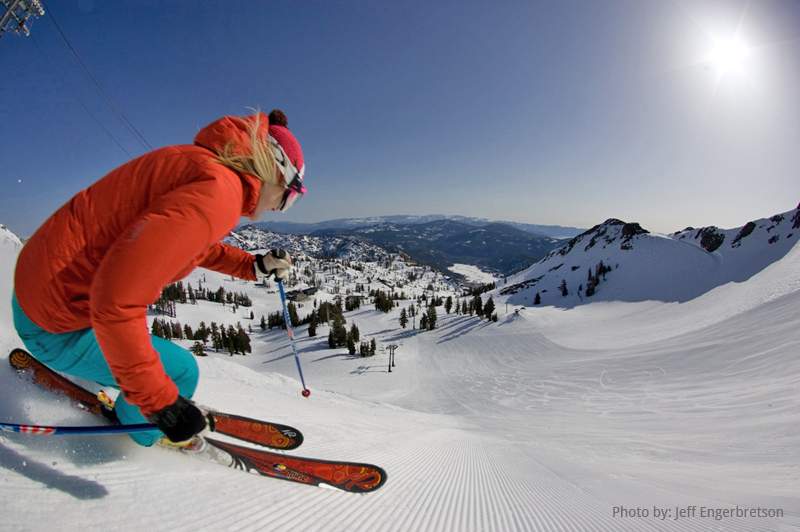 The legendary Squaw Valley USA ski resort attracts visitors from all over the world. As the site of the 1960 Winter Olympic Games, its world-famous terrain is filled with exciting runs for skiers and snowboarders of all levels. Picture 4,000 acres of fresh powder spanning across six mountain peaks with open bowls and shoots that will give you an adrenaline rush like you’ve never experienced before. 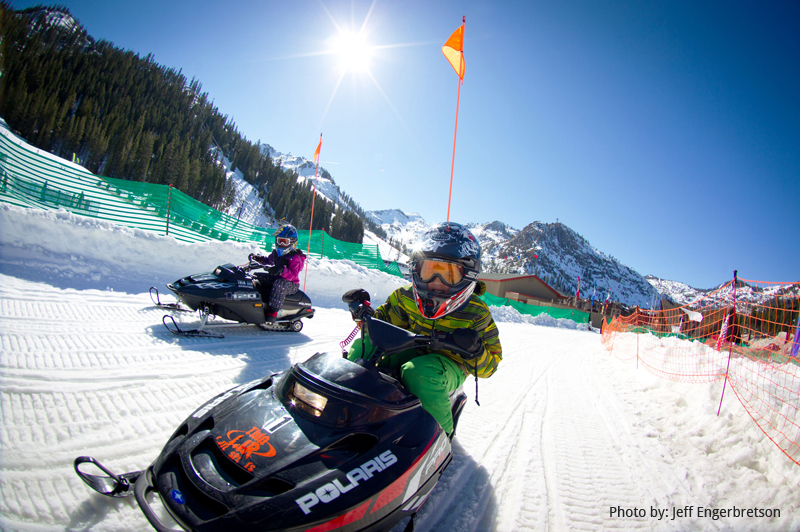 You might be interested to know Squaw Valley USA and Alpine Meadows offer a combined season pass making your winter runs double the fun. The hard part is picking which resort to spend your day on the hill. 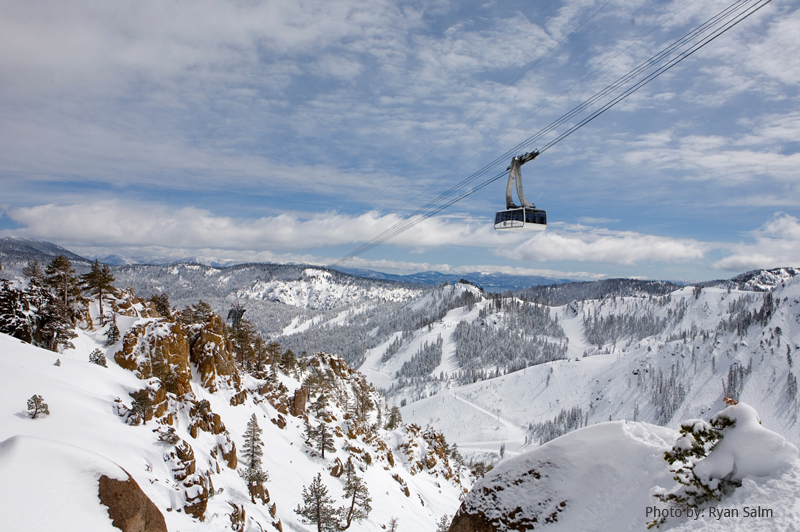 Squaw Valley ski resort’s aerial cable car transports guests 2,000 vertical feet to High Camp, located at the summit where the views of Lake Tahoe are astounding. From High Camp you can hit the slopes or slide across the ice of the world’s highest open-air ice rink at an elevation of 8,200 feet. Also at the summit are dining venues, sport shops, snowtubing runs, most of the beginner skiing areas, and the Olympic Museum. In the summertime enjoy mountain biking, hiking, paintball, disc golf and a swimming lagoon. 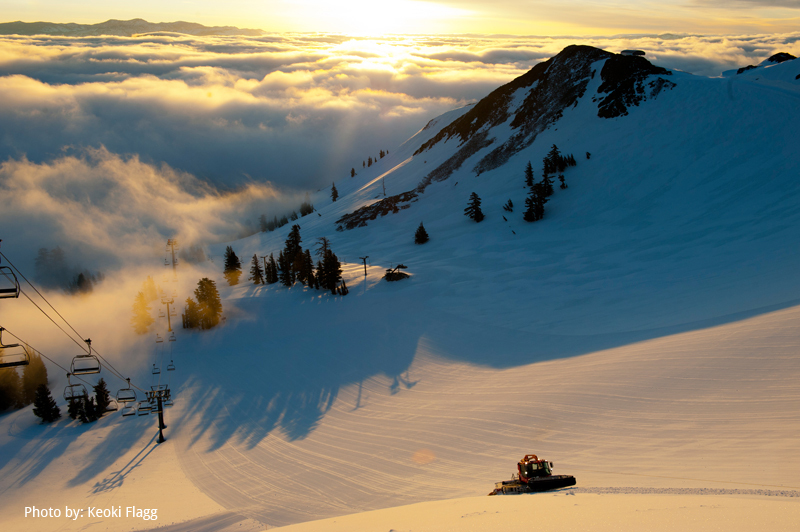 In addition to the 110-person aerial cable car, the Squaw Valley gondola seats 28-passengers, add to this more than 30 lifts, including four high speed quad lifts, and Squaw Valley has an uphill capacity of 49,000 guests per hour. 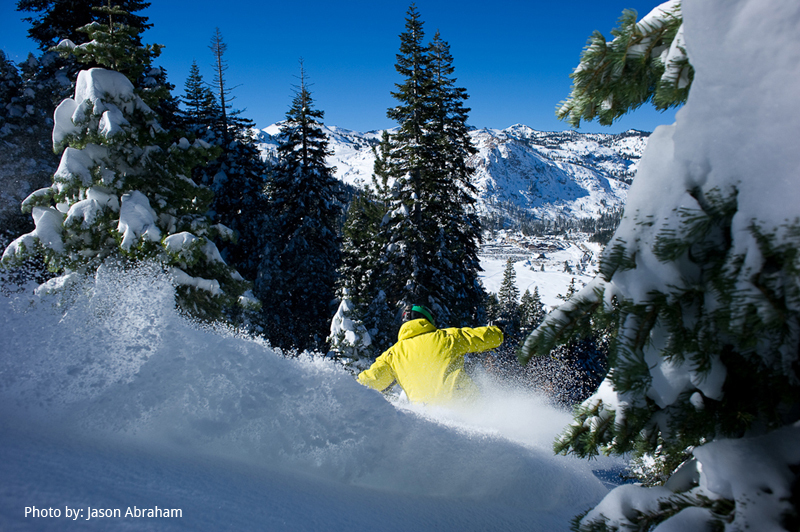 At the base of the mountain is the Village at Squaw Valley, which sits at an elevation of 6,200 feet. It offers more than 30 quality restaurants and bars serving a variety of food, plus specialty wine shops, fine art galleries, rental and repair shops, and exclusive shopping opportunities. The European-style village is laid out beautifully with cozy fire pits and beautiful walkways. It has indoor and outdoor climbing walls, the Headwall Skyjump bungee trampoline, and a miniature golf course. Nearby is the 18-hole Resort at Squaw Creek Golf Course, a championship course designed by Robert Trent Jones Jr.
Be sure to pick up a Squaw Valley ski resort map, your guide to more than 170 trails, 16 bowls, and a number of terrain parks. The terrain parks and half-pipe are designed and built by Snow Park Technologies, the team that built the world’s first cubed 22-foot pipe which was part of a signature Red Bull event. Squaw Valley ski resort is located on Lake Tahoe’s North Shore, just off of Highway 89, between Truckee and Tahoe City. It is only 42 miles from Reno and 96 miles from Sacramento on Interstate 80. 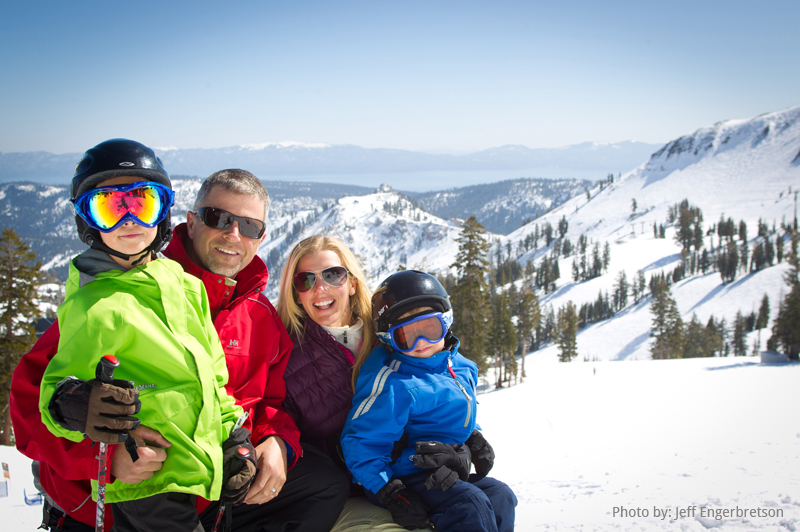 The average annual snowfall at Squaw Valley is 450 inches, despite this the resort experiences over 300 cloudless and sunny days per year, so get your Squaw Valley season pass and start your Lake Tahoe adventure in style. Additionally, Squaw Valley web cams give visitors the advantage of planning a perfect day on the slopes. 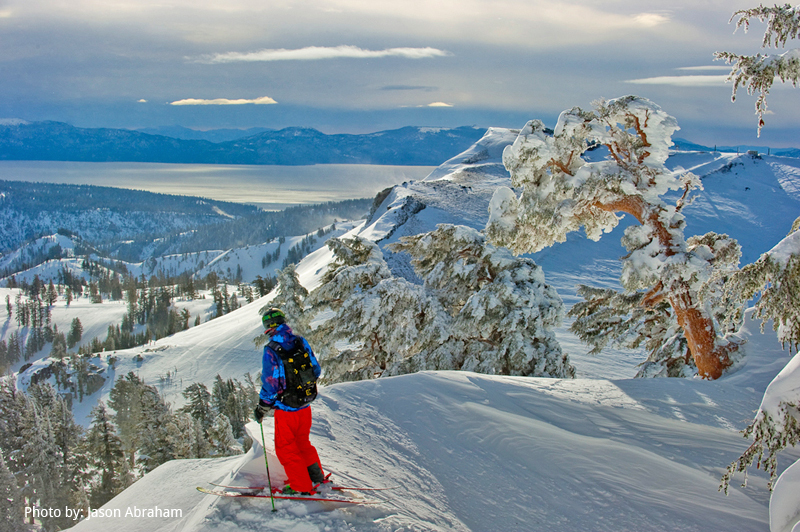 There are so many great Lake Tahoe ski resorts to choose from and Squaw Valley is always towards the top of the list. Our Lake Tahoe ski resorts map will help you discover the best suited resort nearest you – but it’s hard to go wrong with any of them. 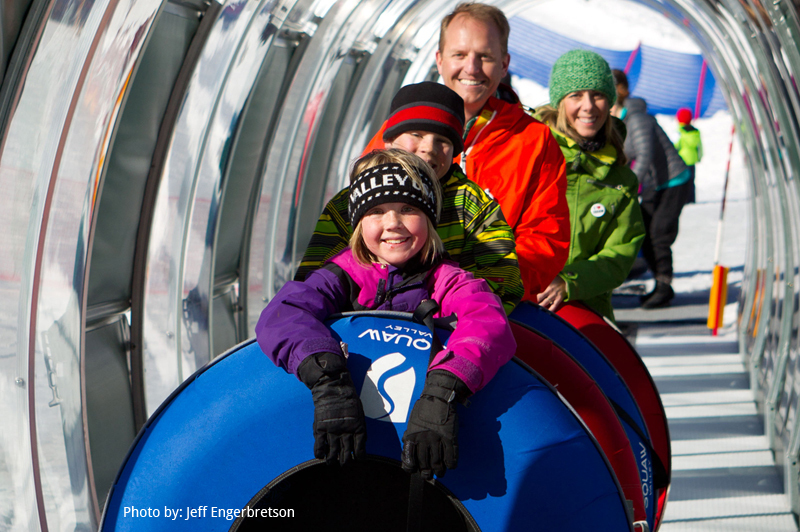 Season: Mid-November through Memorial Day, weather and conditions permitting.